We have elected unqualified presidents before. Most have served one term and then been forgotten. Some, such as George W. Bush have served two terms. Mitt Romney could probably serve one term adequately in less demanding times. However, we need more than that in our president in these demanding times. We need a qualified president to defend us abroad and revive the economy at home. We have an accumulation of problems that have been neglected and allowed to fester. Our democracy is weakened by the rapid disappearance of the middle class. 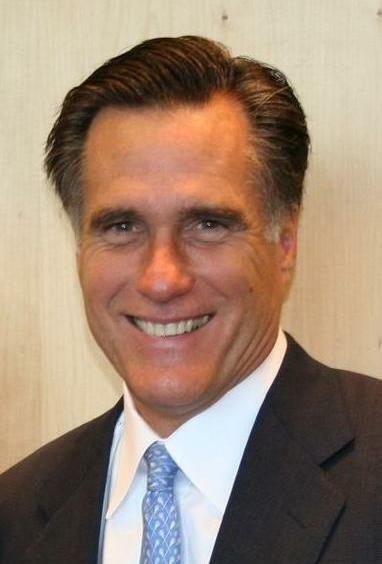 Mitt Romney is probably a good man. He is a husband, parent and member of his church. He probably broke no laws at Bain or on his taxes, but those laws need to be changed. We cannot afford to take a chance with Mitt when we already have a good man in the White House. We must not try to change horses in midstream. “Not Qualified” No truer words have ever been spoken about Lyin UnFitt Mitt. Thank you Bell Book Candle. That should tell you all you need in knowing. damage to the brain via the misuse of drugs. muslim propaganda /via mainstream media. office / resulting with direst of consequences. You’re confusing Barack’s supporters with the Neocons in the Romney camp. is not the case /such reality being the opposite. removed the few rights they had still remaining. coming to office then broke each promise given. due financial problems / in meeting their needs. “NOBEL PRIZE”. It’s time for BARACK to depart. I recently saw a list of 180-190 promises that he kept. Our present economy is the legacy of GW Bush and the GOP in Congress who are inflicting economic pain on the nation until we capitulate and allow them back in power. not kept /in relation unto election promises. on the TITANIC / heading for the ICEBERG. I have seen lists on blogs of the Right, but not from sources I trust.